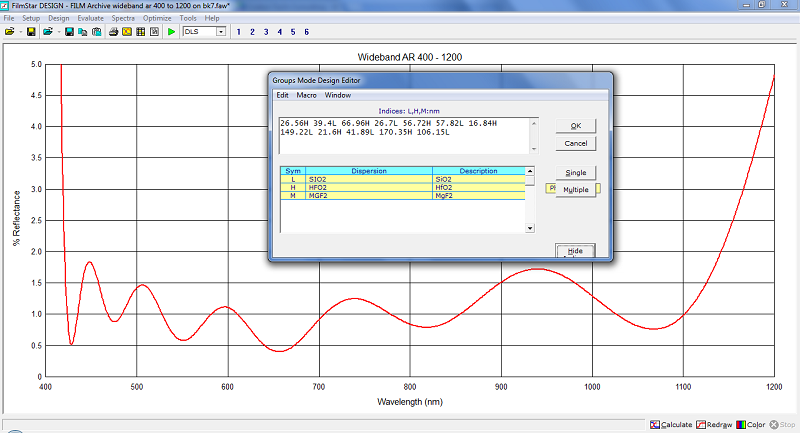 Coaters Tech offers sales and training of what is simply the most comprehensive thin film software available, FilmStar. With Monitor you can optically monitor your film using your optical monitor from the design you have in FilmStar. With Crystal you can upload your design to your crystal monitor and run the design you designed using FilmStar. With Measure you can measure your samples with your spectrophotometer and capture data. Everything you do with FTG Software software can easily be brought together and saved and retrieved all in one place accessible to everyone in the company (engineers, techs, QA, management, et al). FTG Software workflow. Efficient and easy to save all your data all in one place. Because they work together with your deposition monitor and your spectrophotometer using FilmStar with Monitor, Crystal and Measure makes sense and makes your work flow efficient and convenient. If you are looking for an easy to use, fully supported, full featured software package for your coating lab or if you have any questions about using FilmStar please contact Coaters Tech by filling out the form on the right.